Another headliner announcement? SLIM CHANCE of that! Farmer Phil’s Festival is pleased to announce SLIM CHANCE will join Lindisfarne as a headliner at next year’s festival. 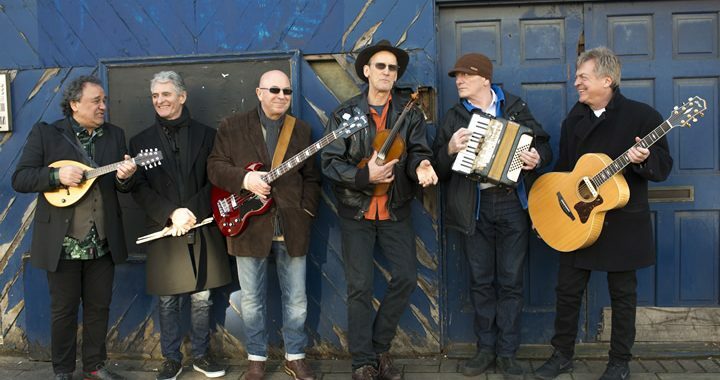 Slim Chance is a tight band of good friends, which has evolved around three original members of Ronnie Lane’s band – Steve Bingham, Charlie Hart and Steve Simpson. They are now regularly joined by Brendan O’Neill, Billy Nicholls, and Geraint Watkins, and together they deliver a unique and entertaining show, both joyous and of a high musical calibre. Ronnie always jokingly claimed that he found the musicians for Slim Chance in the pages of Exchange and Mart. In 2010 Charlie Hart and Steve Simpson trawled the streets of South London and miraculously found three more ex-Slim Chancers who were all keen to sign up again to the quest for Ronnie’s musical holy grail. By gigging round the country the line-up has gelled into a fine band and become a powerful entity in its own right. The aim is to create a show which celebrates the range of Ronnie’s later music: to take this show to people in village halls and clubs, festivals and theatres at home and abroad; and eventually, joined by numerous friends, to resurrect the Passing Show itself. Posted in Line-up News and tagged 2019, headliner, Slim Chance.